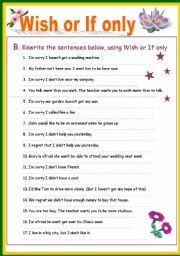 A great tense revision, you can use these worksheet to help students revise all verb tenses effectively. Hope you like them! Have a nice day! A great tense revision! 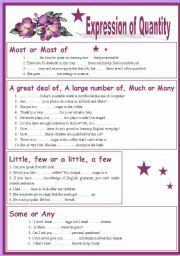 You can use these worksheets to help students revise all verb tenses effectively. Hope you like it! Have a nice day! A good revision of expression of quantity. I hope that it is useful. Have a nice day! 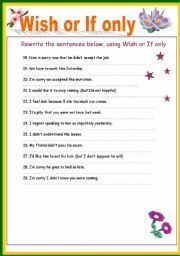 A great revision of Wish and If only! 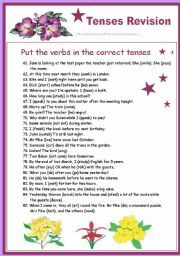 You can use these three to help students put the verbs in the correct tenses. Hope it useful! (I�m very sorry yesterday I didn�t upload part 2 and part 3 successfully). Have a nice day! A great revision of Wish and If only. 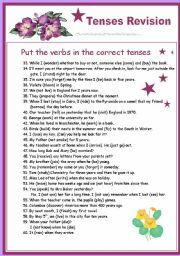 You can use these three to help students revise how to put verbs in the correct tenses. Have a great time! A great revision of Wish and If only. 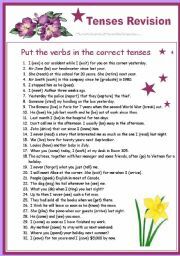 You can use these three to help students put the verbs in the correct tenses. Hope it useful! (I�m very sorry yesterday I didn�t upload part 2 and part 3 successfully). Have a nice day! very interesting! I�m very sorry to cut off some slides here so you can add more! Hope that you will enjoy it! 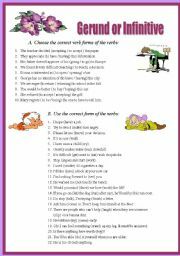 Very interesting game with different verb phrases.Eight pages but can be added more. Hope that you like it!